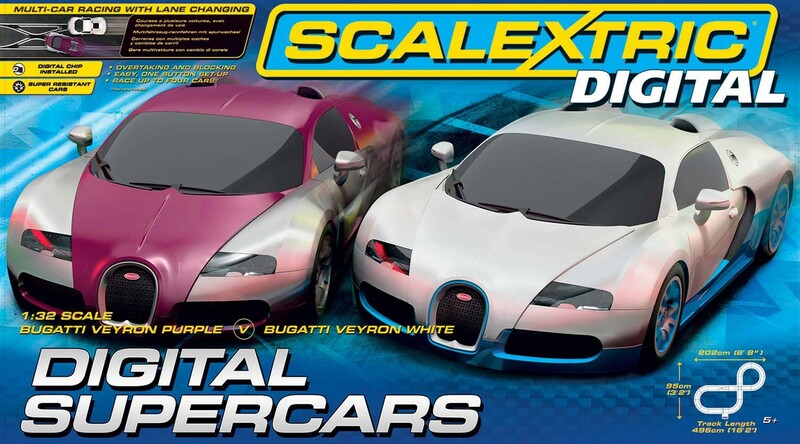 Go head to head in a thrilling Bugatti Veyron race! Each iconic car is super resistant and come with a digital chip installed. They are tough enough for skilful, high impact racing! This set is ideal for the budding sports car racer, watch as they brake and change lanes with ease, performing overtaking manoeuvres with speed.